Since January seems to be the unofficial National Month of Organizing Everything, why not add your online life to the mix. Clean out your inbox, clear off some of the images from your computer, and print these free blog organizers to help you plan what you want to do with your blog in 2012. 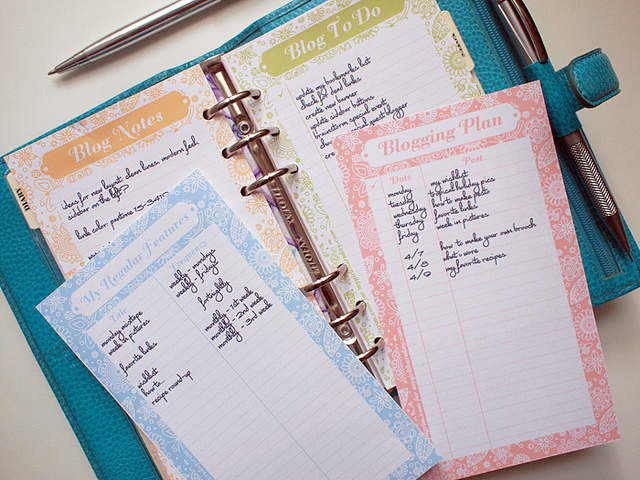 You can download these free printable organizers over at My Girl Thursday. The rest of the things on the list you are going to have to do the old fashioned way.